Diacme adipaloides - Hodges#5143 (Darker Diacme Moth). 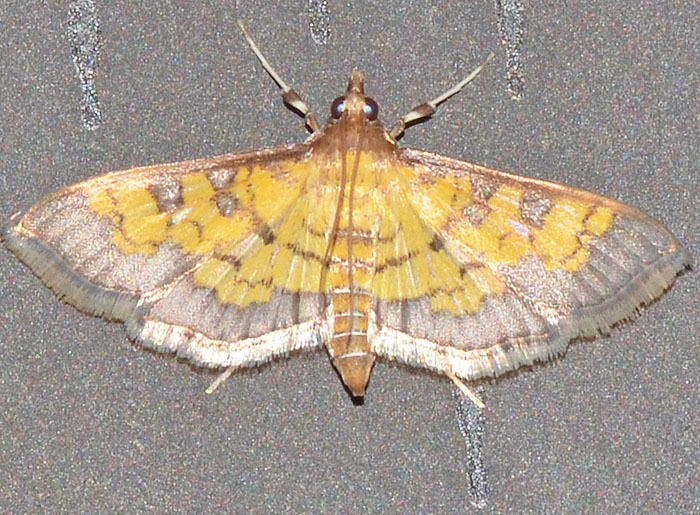 This moth is D. adipaloides which is also known as the Darker Diacme Moth. It is similar to the Paler Diacme, but the darker forewing is grayish brown with irregular pale orange bands; the hindwing is paler yellow with a wide brown border. This species is widespread in the eastern United States.